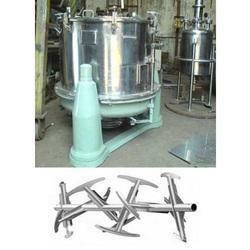 Offering a wide range of Agitator Reactors are each custom designed to suit every detail required by the customer. Our Agitator designs are determined by carefully considering the product viscosity, temperature, solid/liquid ratio and time required for mixing. Our Engineering and drafting services are included with all equipment supply requirements. PMI provide QAP that accompanies the supplied equipment which is tailored to cover material certification, welding qualifications, production reports, NDT reports, and a number of various equipment tests including CIP performance, hydrostatic test, and surface finish reports. We are offering a wide range of Agitated Vessels to our trustable clients. These product are obtainable in different specifications and capacities. Offered product are designed in such a way that it is easy to access by the clients. 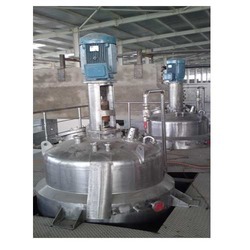 Looking for Agitators Reactors & Vessels ?